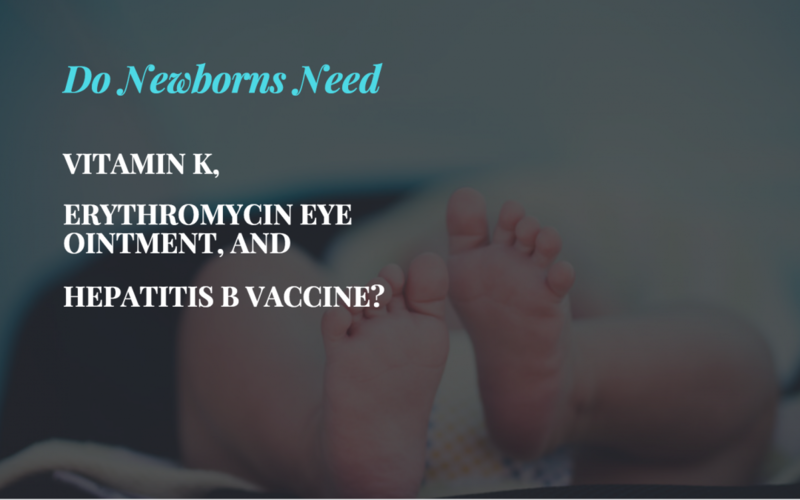 Do Newborns Need Vitamin K, Eye Ointment, and Hepatitis B Vaccine? One year ago this week, I became a new mother – the most beautiful, unpredictable experience of my life. I was just getting a firm grasp on “adulting,” when I was suddenly thrust into an unreal league of sleeplessness, responsibility, and decision-making. In light of my innate need to know things in advance and be prepared, I researched tons and tons of information about pregnancy, labor, delivery, and postnatal care. My research during pregnancy was life-changing and shifted my entire perspective on pregnancy and childbirth. It was also overwhelming, because the more I found out, the more decisions my fiancé and I had to make. As a pharmacist, one of the few aspects of postnatal care that I felt like I actually had a grasp on were the medications babies typically receive in the hospital shortly after birth. 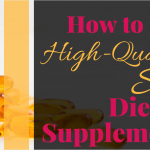 But in scouring the Internet during sleepless, uncomfortable nights, I realized that many moms and dads were lost and conflicted about these medications. Why does my baby need shots in the hospital? I’m going to breastfeed my baby, so he doesn’t need any of “those chemicals.” I’m thinking about refusing the Vitamin K. What do you guys think? Hepatitis B shot?? Does my 2-hour-old really need that? I don’t have Hepatitis B. These were just a few of the questions I saw floating through cyberspace, followed by all kinds of unhelpful and sometimes harmful replies. 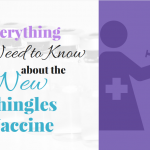 So today’s post is for expectant parents, future parents, and family and friends of the like who may be in the dark about some of the medications recommended for newborns at birth. 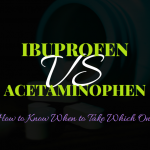 All 3 of the meds I’ll discuss are controversial to an extent, but as Your Friendly Public Health Pharmacist, I’ll try to present the most unbiased information here. 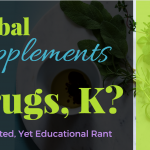 You’re used to hearing about vitamins like A, B, C, and D, but what’s up with Vitamin K? What is it and why do they need to give it to your baby? For most healthy people, when we bleed, we know that the bleeding will eventually stop. We have Vitamin K to thank for that. Blood clotting is an extremely important process that causes us to stop bleeding, and Vitamin K is necessary for blood clotting to happen. If blood cannot clot, the bleeding will continue, which can be dangerous. Unfortunately, newborn infants don’t have enough of their own Vitamin K. This is especially true for preemies. Babies can bleed internally if they don’t have enough Vitamin K to help clot their blood. Some may suffer from a rare but potentially life-threatening condition called Vitamin K deficiency bleeding (VKDB), which can cause bleeding in organs like the brain and intestines. In order to help supplement the baby’s own Vitamin K and prevent uncontrollable bleeding, nurses give a Vitamin K shot in the thigh muscle of newborns. Advantages: Vitamin K shots help prevent babies from hemorrhaging (bleeding) uncontrollably. Side effects/Risks: All drugs have risks, but Vitamin K shots in newborns have very few side effects. The shots may cause pain and redness or irritation where the shot is given. Allergic reactions to Vitamin K are rare and usually are only a concern if Vitamin K is injected into the veins. Vitamin K in newborns is usually not given in the veins unless the baby is born with VKDB and needs Vitamin K immediately. Depending on the mother’s sexual activity, it is important to remember that the STD status can change between the time of testing and delivery. There is always the risk of a false negative. A false negative occurs when the test says you do not have an infection, but you actually do. In this situation, if a mom declines the ointment, her baby may be at risk of becoming infected and developing an eye disease that can lead to blindness. Erythromycin may help protect the newborn’s eyes from other non-STD-causing bacteria, but the evidence on this is also conflicting. For these reasons, many state laws and hospital policies require all newborns, even those delivered via C-section, to receive antibacterial eye treatment after birth. Note: Some doctors may not push it as hard for babies delivered by C-section, but this will frequently depend on hospital policy and state laws. Advantages: Antibacterial ointments, such as erythromycin, help protect babies’ eyes from becoming infected with the bacteria that cause gonorrhea and chlamydia. Eye diseases as a result of these infections can cause blindness. Side effects/Risks: Erythromycin ointment can cause temporary blurred vision or eye irritation in newborns. In most cases, the hospital staff will allow the mom/family and baby a few hours for skin-to-skin, breastfeeding, and bonding before applying the ointment. For parents being pummeled by an onslaught of competing and conflicting perspectives on vaccines, the Hepatitis B vaccine will be your first big test. This is the first vaccine that most children receive in the U.S., in many cases, shortly after birth. Hepatitis B is a virus that can cause severe and potentially life-threatening liver damage, such as cirrhosis (scarring) of the liver, liver cancer, and chronic liver disease. The virus can be passed from mother to child at birth. Because children love sharing bodily fluids, the Hepatitis B virus is also commonly passed from one infected child to an unvaccinated child. People with Hepatitis B oftentimes don’t have symptoms and can unknowingly pass the disease along to unvaccinated children. For newborns, the Hepatitis B vaccine is usually given in 3 separate doses, with the first dose being given shortly after birth. Hepatitis B vaccination schedules may differ, depending on the specific vaccine. Advantages: The Hepatitis B vaccine helps prevent babies from becoming infected with Hepatitis B, a virus that can cause severe liver damage, including liver cancer and chronic liver disease. Side effects/Risks: No serious Hepatitis B vaccine side effects have been reported, but there is always the risk of pain or redness where the vaccine is given. Since the Hepatitis B vaccine is made with yeast, anyone with a yeast allergy should not receive the vaccine.